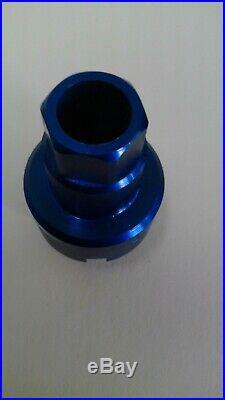 Valve seat 45°cutter head 1 diameter(25.4mm)Approx. 875″-1.090″(22-28mm) to be used with 3/8″ top pilots, specially engineered for the “new3Acut 3 angle cut blades, to cut 3 angles in one pass! 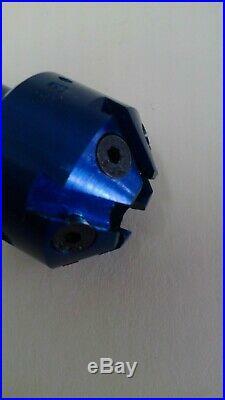 Serdi style 30/45/60 do all 3 angles with one cutter head, save time and save on tooling. This cutter head takes 5 blades (note: Neway serrated blades will fit cutter head and it can be used like a single angle cutter head), These cutters are to be driven by a powered machine when used with 3 angle profile blades, when used with serrated blades, a “T” handle can be used to drive cutters, made out of anodized aluminum, tool steel hub, black oxide finish. Note: the range can be extended to the low side to cut 19mm diameter seats with special blades available in our store. 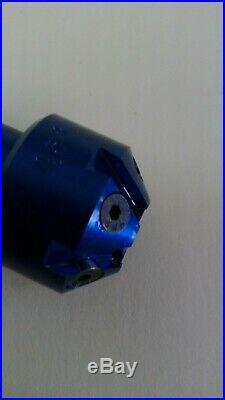 “Cam lock” holding screw, 1/2″ drive, requires 5 blades, 1/2″ long recommended. 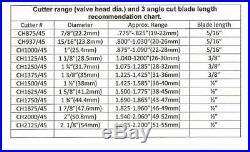 The listing is for one cutter head, blades shown on pictures are not included. 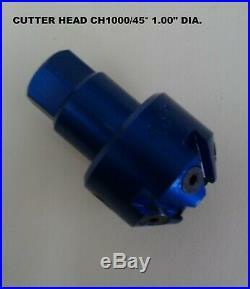 The item “Valve seat cutter 45°-1 Dia. For 3/8 top pilot, precision made” is in sale since Thursday, April 4, 2019. 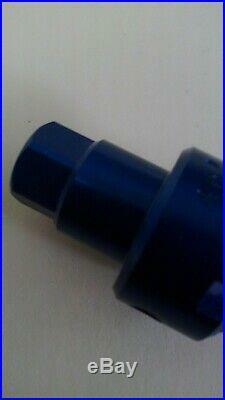 This item is in the category “eBay Motors\Automotive Tools & Supplies\Shop Equipment & Supplies\Other Shop Equipment”. The seller is “delrioauto” and is located in Del Rio, Texas. This item can be shipped worldwide.